Tariffs and trade deals: What would Brexit mean for UK businesses? No business, least of all small firms, relishes the cost and hassle of paying taxes and tariffs or adhering to regulations. Yet – immigration aside – such unavoidable facts of business sit at the heart of the EU referendum debate. And the arguments for and against Brexit are as complex and sometimes tiresome as they are profoundly important. The sheer imponderables (the known unknowns and unknown unknowns) make the decision harder still. What we do know is that if the UK electorate voted to leave, the Prime Minister would be obliged to invoke Article 50 of the Treaty of Lisbon, which gives members two years to negotiate an exit. Beyond this, no one really knows what would happen. The Brexit camp is hopeful that a deal could be done quickly – not entirely wishful thinking: UK regulations are, after all, already extensively harmonised with EU regulations. Agree to continue applying those rules in exchange for access to the EU single market – as Norway does – and negotiations could be concluded relatively swiftly. But if the UK wants a broader deal including financial and other services it could be a more protracted process. Pawel Swidlicki of Open Europe says the trade-off is between “speed and scope”. Supporters of Brexit or not, both UK importers and exporters will be hoping that the Brexiteers’ arguments are well founded should the referendum go their way. 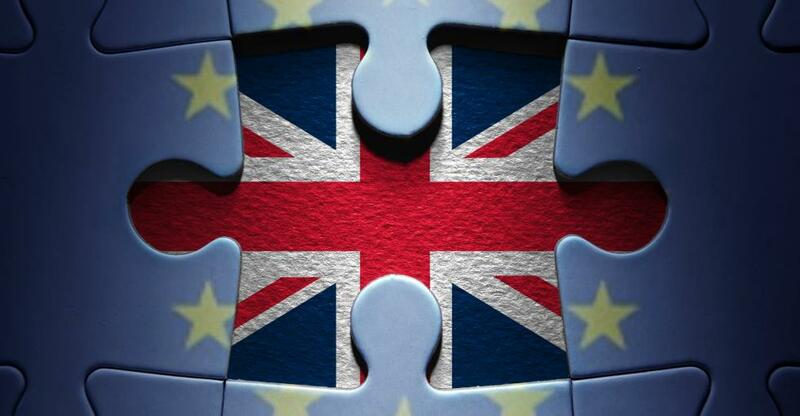 “The pro-Brexit camp has set out a vision for future UK-EU trading terms: a ‘free-trade zone’ unshackled by EU regulations,” says Lewis Crofts, chief correspondent at legal services news portal MLex. “The Brexit supporters’ calculation is that they will hold all the cards after the referendum and other countries won’t ‘self-harm’ by turning their backs on the UK’s sizeable market. “It seems Gove’s vision is for a relationship looser than existing deals with the EU’s current neighbours: Norway and Switzerland. Gove believes a post-Brexit government should have confidence – due to its democratic mandate and economic size – to negotiate its own special deal. Crofts says a number of templates already exist for a post-exit settlement. “The assumed wisdom is that a post-Brexit UK would have to adopt one of the existing models of EU relationship,” he says. Norway is a member of the European Economic Area (EEA) along with non-EU members Iceland and Liechtenstein and all EU member states. Remain in the EEA post-Brexit and the UK would still be obliged to implement EU laws around the internal market (Norway has had to implement about three-quarters of all EU legislation). For small businesses, then, this option would perhaps be close to ‘business as usual’. Not, however, according to Catherine Barnard, Professor in EU law and employment law at the University of Cambridge. Speaking to the Guardian Barnard said the UK would not “benefit from the 50 free-trade agreements (FTAs) which the EU enjoys. Or the UK could establish a more detached relationship in the mould of Switzerland, which has 120 separate bilateral agreements – which even the most ardent Brexiteer must acknowledge would take years of negotiation to emulate. Switzerland follows EU law where required by this patchwork of agreements – but not covering services, which account for 80% of the UK economy. David Jevons cites Canada as a similar example: “The free-trade agreement between the EU and Canada took seven years to agree and does not cover several important service sectors. The Vote Leave campaign claims that Brexit would liberate the UK to conclude deals with booming markets in Asia and the Americas at a time when EU growth is anaemic. David Cameron counters that non-EU countries would likely delay talks until fresh EU terms are agreed. President Obama, meanwhile, has warned that Britain would immediately go to the “back of the queue” in trade negotiations. ‘Front of the queue’ or not, however, Brexit advocates have noted the EU’s failure to strike trade deals with Washington, Beijing or New Delhi. But Lesley Batchelor, director general of the Institute of Export, believes that framing the debate as a choice between two sets of trade deals is simplistic. Import duties on UK goods sold into the EU, she told the Guardian, would “increase the price of their products in that market [...] The EU covers this through our subscription, much like a membership to Costco works – where the benefits increase the more you use it. And can UK Plc afford years of uncertainty when even a few days of instability – like the 2010 hung parliament – unsettles the markets? No deal – what then? WTO tariffs could be bad for British winemakers (32% on wine), carmakers (9.8%) and food exporters (12.8% on wheat products). But pro-Brexit campaign group Business for Britain suggests exporters could be compensated from savings made through EU membership fees. Federation of Small Businesses (FSB) national chairman Mike Cherry offers a balanced view of the risks and opportunities Brexit might pose. “We do know that the EU is the most important export destination for small firms,” he told the Guardian. “The EU market is often considered the easy option because it’s close by, there are no tariffs and there is one set of product rules and standards. For all that, there is a clear appetite to export further afield: 32% of FSB members currently either export or import. “The US is their second biggest export destination after the EU. The Transatlantic Trade and Investment Partnership (TTIP) has huge potential to benefit smaller firms seeking to increase or start selling their goods and services to American customers. If immigration is the Brexit camp’s trump card, then the Remain campaign appears to have the upper hand on the economy. Even in an imperfect EU the UK ranks sixth in the latest World Bank study on the ease of doing business and third on AT Kearney's Foreign Direct Investment Confidence Index 2015. We can do better, say Brexiteers, and maybe we can. But it’s certainly a gamble and a host of international organisations, from the IMF to the OECD, have warned of grave consequences if the UK left the EU. No matter that economists have form for wildly inaccurate forecasts. Struggling to grasp the sheer complexity of the interlocking variables, many voters are inclined to heed the words of experts who confidently prophesise calamity.